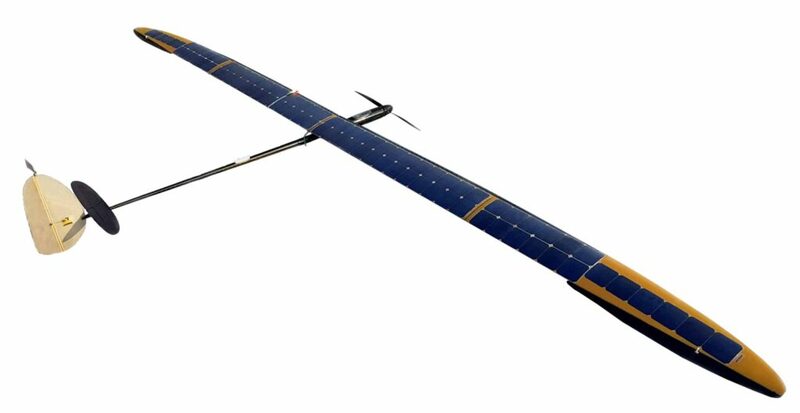 UAVOS has announced that it has completed flight tests of its solar-powered SAT-i UAV (unmanned aerial vehicle), which is designed to perform monitoring and aerial photography during daylight hours. The new unmanned aircraft successfully completed a non-stop 10-hour mission undertaking aerial photography with a payload of a 600-gram mirrorless camera. The fixed-wing SAT-i has a a wingspan of 7.3 meters and a weight of 6.2 kg. The UAV is equipped with a Li-Ion battery that allows flying without solar energy for 2 (optionally 4) hours with a payload up to 600 grams. The aircraft is hand-launched, and the flight and landing are performed in fully autonomous mode. For the landing a flat level surface of 200m long is required, with a touchdown accuracy of about 100 m. The landing trajectory calculations are carried out automatically, taking into account the current weather conditions. A low landing speed of 7 m/s helps keep the aircraft intact after numerous landings. The UAVOS SAT-i UAV technology offers cost-effective services for a wide range of customer needs, including prospecting, mapping, and monitoring of important lines of communication in remote areas, while using only solar energy during the day. Backup batteries allow the UAV to perform short missions for 2-4 hours without solar activity, in case the operation needs to be extended.